God is our eternal source, our foundation and fountain for everything we are and hope to be. A deep sense of gratitude should thus pervade us from the moment we wake up until that second we go to sleep. The saints used to praise God because their beds weren’t their cooling boards and because the Lord woke them up right on time with a finger of love. The activities of their limbs and being clothed in their right minds were also reasons enough to give thanks. Of course, we can add so many other things for which to be grateful, but nothing in our lives can be taken for granted when we assess just how gracious the Lord is. Whether we are grateful for healthy bodies, sound minds, or in spite of adverse health conditions, we owe God praise. How especially blessed have I been when I’ve encountered amazing women and men of God who were uncanny is their devotion to “him in whom we live and move and have our being.” (Acts 17:28) Contrary to what the extrinsic situations may have been, their hands remained lifted to God in adoration. In plenty and poverty, in victory and defeat, they knew God’s love was unfailing. Their testimony encouraged me to see life’s setbacks, as well as life’s forward movement, as equally pregnant with God’s will. This is hard to do. It’s easy to see ourselves as victims to cosmic forces beyond our control. We can constantly compare ourselves to the person we look up to or even loathe, feeling that we don’t measure up. More tragically, many of us have walked through death valley, or have had someone we love stop in death valley and never return. The holidays are festive times for many but they can also be times of lamentation for people well acquainted with sorrow. But like those men and women of God whose lives tutored me, we must choose to praise God for the good and the bad. The Psalmist exclaims repeatedly that we are to give thanks for the Lord is good and his mercy endures forever. (Ps. 106:1; 107:1; 118:1; 136:1) What we go through doesn’t always seem praiseworthy or merciful, but in a closer walk with Jesus we see God transforming us in and through it. You can’t help but see this truth vividly displayed in the Bible. The heroes and sheroes of our faith had their share of pain and doubt. Abraham and Sarah, Moses, Rahab, Ruth, David, Job, Peter, Paul. But they believed God, praised him anyhow, counted it all joy. On any given Sunday, this is how myriad pastors in traditional African American Baptist congregations invite the unconverted to Christian discipleship and the unchurched to membership. Tragically, tens of thousands of churches across denominational and racial lines are closing their doors, never to open them again. According to some estimates, anywhere from 4,000 to 7,000 local congregations die each year. Leadership Journal maintains that 340,000 churches in America have plateaued, are declining or are on the verge of death. When Jesus said that the gates of hell won’t prevail against the church, he was not talking about local congregations, per se. Since New Testament times, churches have been plagued with serious existential threats, and many have come and gone. Great cathedrals in Europe are now museums, and even grand church buildings in America have been converted into clubs. It may seem improbable that such is the case in Mississippi; if the South is the Bible Belt, then surely our state is the belt buckle. But even in church-saturated Mississippi, the writing is on the wall. Churches don’t just die. They get sick and remain so for a considerable length of time. In “Autopsy of a Deceased Church,” Thom Rainer identifies 10 contributing symptoms. These include rapid pastoral turnover, the lack of evangelistic enthusiasm, nostalgia for a bygone era and a refusal to be community-minded. Ed Stetzer and Mike Dodson point out even more reasons for church decline in their book “Comeback Churches.” What all of these churches have in common is that at some point they ceased to be missionary, Christ-centered, and biblically relevant to their ministry context. 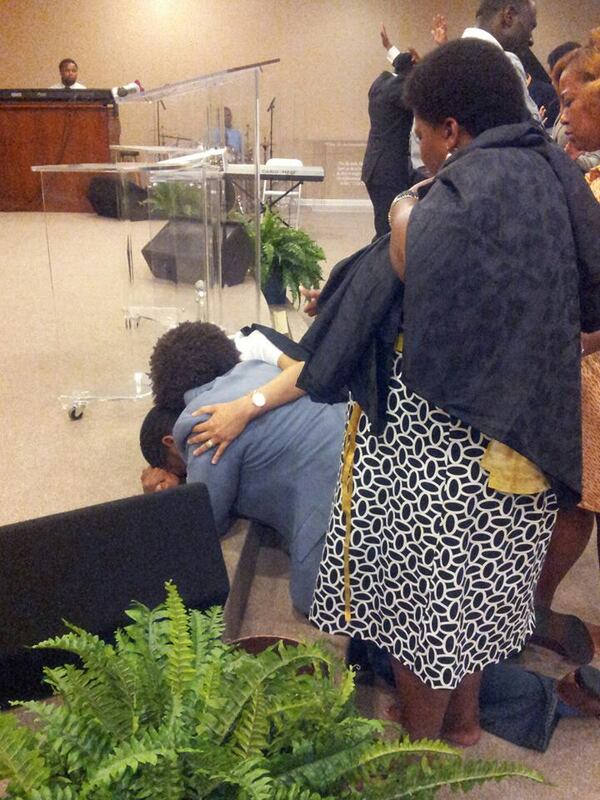 In such churches, pastors are becoming pallbearers, and the members are becoming mourners. This should not be. But changing such places of worship is difficult. If it wasn’t, so many of them wouldn’t be dying. But there is hope. With God, revitalization is possible. Harry Reeder, author of “From Embers to a Flame: How God Can Revitalize Your Church,” succinctly defines church revitalization as “a commitment by the church leadership to biblically lead the church back to spiritual health and vitality.” This differs from revival, which alone is the Lord’s work. We can pray for and preach about revival, but God alone sends it according to God’s sovereign timing. But revitalization is the intentional stewardship and responsibility of Spirit-filled leaders in dying churches who take the risks to please and glorify God anew. There must be positive change and the acceptance of God’s preferred future. Denial or resistance will only lead to certain demise. But pastoral and lay leaders can bring about transformation in the power of the Holy Spirit. Reeder is again helpful in showing us a biblical model for this work. Using the church at Ephesus (Revelation 2:5) as a model, he points out that any church today wanting to come alive again must remember, repent, and recover the things you did at first. Remembering our past trains us to glorify God for the great things he once did through a dying church; this inspires leaders and members to trust God to do such wonderful things again. This is especially vital for established churches with older members. It reminds them of better days and hopefully encourages them to imagine how they may do similar good works now. Though there is much in your church’s past worth celebrating, there are yet many things to lament about. A church wouldn’t be dying if everything in the past was glorious. Repentance acknowledges that the primary reason most churches are declining is because of institutionalized sin. Too many leaders want to create more programs or add a new service to avoid dealing with the serpent in the sanctuary. But this will only lead to more stagnation or unhealthy numerical growth. The intention of revitalization is to get better, not just bigger. Thus Reeder says churches must move from covered-up sin to confessed sin. I believe this is the hardest but greatest element in making dying churches healthy again. At some point God’s people must resolve to fix what’s broken by telling the truth and making things right. I read about one church who addressed its horrible reputation by committing to holiness. A tangible example of this was their publishing a letter of apology in the local paper that detailed their faults and invited the community to forgive them for not being a loving, welcoming faith community. Something like this is painful but can stimulate a renewed sense of God’s grace and reconciliation. Jesus Christ — who is full of grace and truth — honors our humility. God’s grace is sufficient for our weaknesses. 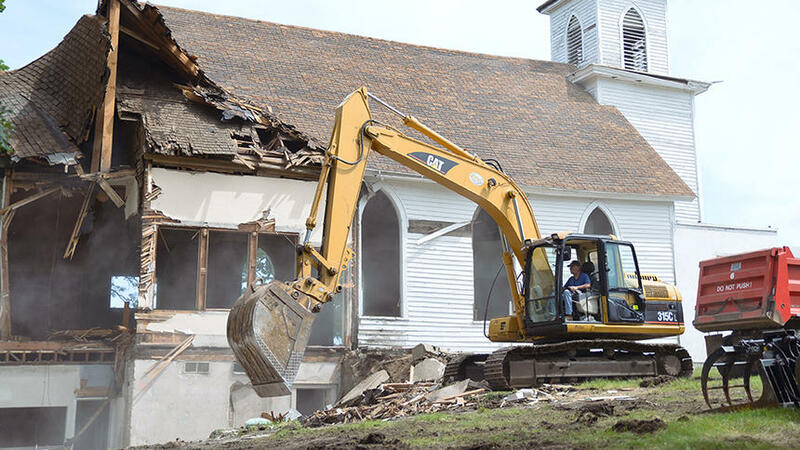 Lastly, the church that remembers and repents is ready to recover the things that matter most about being the church. Recovering first things means again to make Christ preeminent in our worship and ministry, pray fervently, live out the Gospel before each other and in the community, and so on. Said differently, it means that we move from being a social club to being a church. When we remember that we exist for the glory of God alone, we can submit our wills to the lordship of Jesus Christ, who is the head of the church, his body. The church is healthier when it seeks God’s best and not our preferences. September 7-11 marked the 135th Annual Session of the National Baptist Convention USA, Inc. (NBCUSA), the nation’s largest African American Christian denomination. 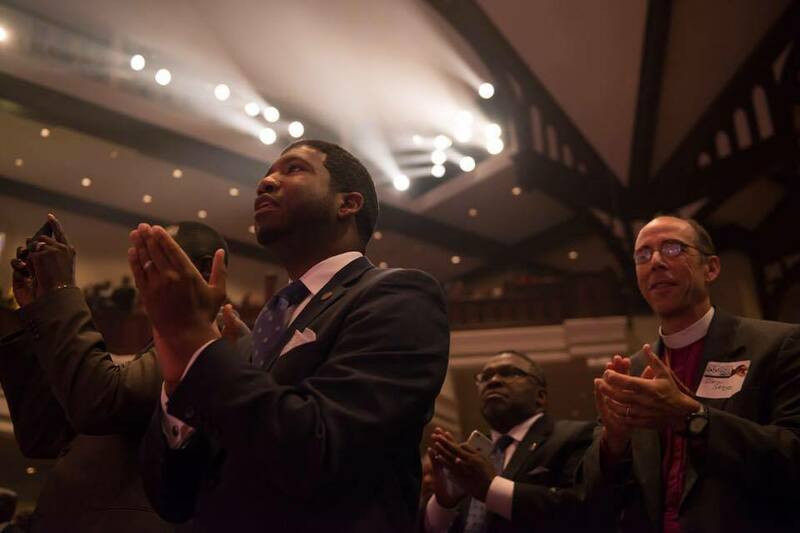 It was expected that 50,000 National Baptists gathered last week in Memphis, TN, for Kingdom business and Christian fellowship, while also enjoying the recreation offered by the Bluff City. Dr. Jerry Young, Pastor of New Hope Baptist Church (Watkins Drive) and the NBCUSA’s 18th President, led the stalwart Convention in envisioning its future exceptionally through an array of seminars, meetings, and initiatives that seek to reform the organization for 21st century ministry. Last September Dr. Young became the first native Mississippian still residing in the Magnolia State to serve at the helm of the NBCUSA. Having served fifteen years as Vice-President-at-Large with previous Presidents Julius Scruggs and William J. Shaw, Dr. Young was favored to see the grand old movement from an informed vantage. He ascertained its organizational strengths, weaknesses, opportunities, and threats and has therefore purposed, with God’s help, to guide the NBCUSA on a course toward renewal. His election symbolized a sacred embrace of both the storied past and hopeful future of 7.5 million Christians of African descent trusting that God’s power is still working through them. But difficult days are ahead. At the risk of the mislabeling Dr. Young, I imagine him to be a progressive conservative, a principled pragmatist, and a Spirit-led reformer. He is a progressive conservative in that he is future-oriented while deeply rooted in biblical Christianity and moral absolutism. He is a principled pragmatist in that he knows that courageous decisions must be made but that such righteous acts must be calculated in order to be successful. And he is a Spirit-led reformer in that he is led by the Holy Spirit through prayer and God-given visions so that he can lead biblically faithful reforms of the NBCUSA and Black Baptist identity altogether. I believe these elements shape the lens through which he envisions the future exceptionally. Dr. Young is aware of the persistent secular threats to moral truth and Christian values, the lingering realities of racialized injustice, and the steady decline of church health and holiness. These and other factors aggressively confront the NBCUSA and simply having three large (and expensive) meetings every year will not faithfully and fruitfully address these challenges in meaningful and lasting ways. A new way of being the National Baptist Convention USA must emerge, if the Convention is to survive another fifty—or five!—years. Dr. Young’s annual sermonic address, given the Thursday morning of the session, inspired the delegates to envision with him in spite of these difficult days. He was clear that dying churches, doctrinal drift, community disintegration, and rapidly shifting moral sensibilities require a fresh wind of the Holy Spirit and a revived commitment to the Lord Jesus Christ in order for the NBCUSA to be a continued force for the Gospel. This is true. Leaders must cast a compelling vision that distinguishes itself from where the people are at a given moment; they must be convinced that what is presented is better than what is present. Dr. Young urged the Convention to accept that the times have changed and simply meeting, greeting, and eating was insufficient for our times and seasons. His push has been for the Convention to function more denominationally, meaning that it is do sustained work through ongoing missions and financial solvency such that the NBCUSA could retain and create new institutions able to help local churches and provide hope to desperate communities. Think, if you will, of the Southern Baptist Convention (SBC). United in doctrine and mission, the SBC has hospitals, colleges, seminaries, and research agencies that are healing, educating, and edifying millions of their members and persons not affiliated with them. Every time a National Baptist or Pentecostal walks into LifeWay to purchase a Bible, a book, or a CD, we are supporting a SBC entity with our dollars. Sadly, the NBCUSA model hasn’t afforded us anything comparable to what the SBC has institutionally. Under Dr. Young’s visionary leadership, we will strive for a national credit union and the development of businesses and educational agencies that can bless our people spiritually, culturally, and economically. His passion for a social justice and economic development and empowerment is nevertheless rooted in what he calls Christ-centered evangelism and comprehensive Christian education. We must reach the lost and hurting with the Gospel of the Lord Jesus Christ and teach them biblically and train them intellectually to be culturally competent disciples of Christ who will in turn be good and do good in their neighborhoods and in other nations. Christ exalting, Holy Ghost filled, baptized believers can make world-changing differences and together as a Convention the magnitude of those differences will be felt thousands of miles away. It will take time, resources, and prayerful engagement. But all things are possible with God. 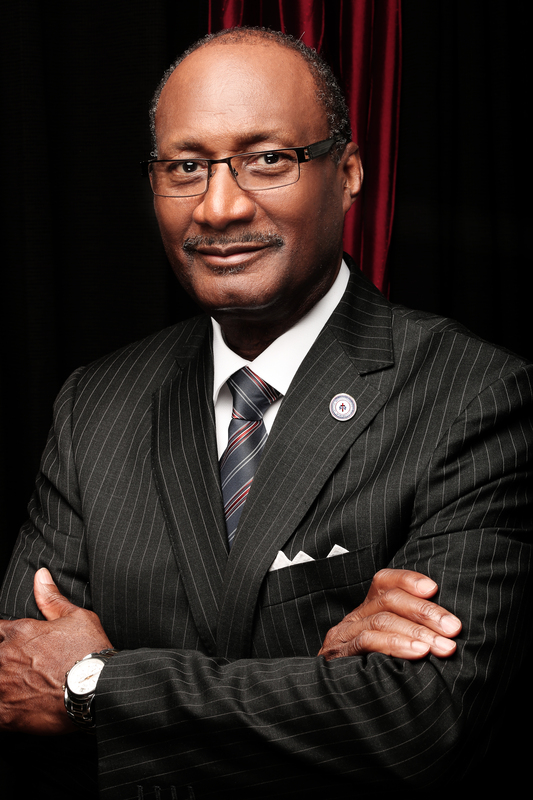 I look forward to the continued progress of Dr. Young’s visionary presidency and remain thankful to witness as an unashamedly black, Baptist, but most importantly biblical, brother in Christ from and within Mississippi attempts to make the National Baptist Convention USA, Inc. viable for this present age. Godspeed to Dr. Young. I too am envisioning the future exceptionally in Christ Jesus. I know there are many you find suspect the idea of God speaking to us in audible ways. Certainly there are those who’ve heard a voice they ascribed to God and as a result did things that were definitely more sinister than holy. Then there are others who mistake the mental echo of their inner voice with God’s. I’ve surely been in the latter category. But with emotional maturity and spiritual discipline I’ve come to recognize when it’s God dialoging with me. That day in July was such a time. I hurried to my home office and wrote those prophetic words down, excited about the uncertainty of their meaning. I simply trusted God to be God and was going to get out of the way. Now that August is over, I can testify that the Lord was true to his word. One of the greatest ways August was awesome was in the way Jesus reminded me to keep the main thing the main thing. Nine years ago I received a commission to return from North Carolina to Mississippi following seminary. I knew then that my mission was to be part of a spiritual revival God was sending to Jackson, a revival that would also impact the social and political dimensions of our city and state. Admittedly I’ve been irregularly timid about that, at times fearing what others would say about this “weird” Christian who’s too smart to be weird. To be sure, I’ve long struggled with insecurities. Thinking myself to be unattractive and inadequate in my youth, I’ve often sold myself short and hesitated taking risks in education and in the Kingdom. Growing up relatively poor, at least in my earliest years, in a railroad town with few opportunities contributed to that sense of inferiority. And so did the constant and unfair comparisons I made of myself with others I thought to be “better” than me. What made things worse is that I came to know the Lord and accepted his gracious invitation to eternal life through the noisy crew of believers whose ecstatic lives were deemed by many religious people as superfluous spirituality. In other words, we heard that it doesn’t take all that, “all that” being jubilant worship, intense prayers coupled with fasting, and a life of holy modesty and expectation of divine interventions. Being peculiar in the Bible Belt is a rather odd adventure. God chose what is foolish in the world to shame the wise; God chose what is weak in the world to shame the strong; God chose what is low and despised in the world, even things that are not, to bring to nothing things that are, so that no human being might boast in the presence of God. I therefore gladly trust the Lord to order my steps, and he has not led me wrong yet. From about 2000 until now I’ve had fifteen years of walking by faith, seeking Christ’s wisdom for where to go to college and seminary, who to marry, how to pastor, and so on. Trust me, I haven’t always gotten it right, especially when I try to “help God out.” But when I didn’t lean to my own understanding, God blew my mind. I needed that reminder this August. It’s so tempting to be pulled toward every direction and to get lost in others’ expectations of ourselves. But I’ve regained my focus. Mystic Howard Thurman wonderfully stated, “Don’t ask what the world needs. Ask what makes you come alive, and go do it. Because what the world needs is people who have come alive.” What makes me come alive is being an instrument of God’s peace and power, reforming his Church through his Word so that the Church can be the agent of salvation and renewal in communities desperately in need of love, light, and life. I am a preacher, pastor, and theologian before I am an advocate, life coach, or anything else that is important but not ultimate. That doesn’t mean that I won’t or don’t do other things: I’m still proud to be a professor, administrator, civic leader, and my greatest joys and responsibilities come from being a husband and father. We can drive in different lanes but we better know where we’re going and who’s getting us there. Thus I refuse to feel guilty if I can’t make every event, serve on every board, or speak on behalf of every movement that requests my influence. I must be selective and know that “no” is liberating. I’m sure this is true for you as well. One way this truth was reinforced was through my participation in Stronger Together: A Night of Unity. I was humbled when Jerry Mannery, Executive Director of the Mississippi Mass Choir, called to get my insight about whether this was a good idea. I told him, in essence, that it was a God idea and that God’s hand was on it and gladly helped him bring his vision to pass. It was a night to remember and mutually uplifting. Nearly four thousand saints from myriad denominations and races came together under the shadow of the Cross to demonstrate that we are many members but one body in Christ (1 Corinthians 12:12). Baptists and Episcopalians, Presbyterians and Pentecostals, Methodists and Mennonites put aside differences to keep the main thing the main thing. God was glorified that night. And I was edified. Nine years later, after hearing God tell me I had to return home, I occupied a seat in a historic event that reminded me of my calling to bring together saints of all races, nationalities, and denominations for the glory of God and for the edification of Christ’s kingdom. A special blessing for me was to briefly tell how Mt Helm Baptist Church shares our history with First Baptist Church. One hundred and eighty years ago enslaved Africans worshipped in the church’s basement. That night I was able to stand in the pulpit once forbidden to my ancestors. What a mighty God we serve! 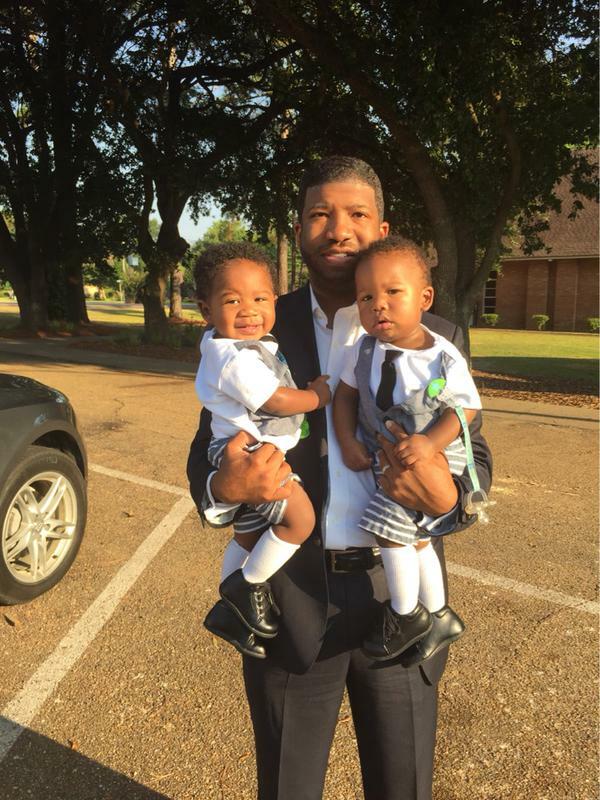 God is doing a new thing in Jackson. God is doing a new thing in Mississippi. I prayed and fasted during August and with renewed energy I feel like running on to see what the end is going to be. May an awesome August give way to a spectacular September, not only for me, but for all who love the Lord and expect from him great and mighty things! Me, with Allison, at the altar after a mighty move of God. That was the question my professor asked as we walked together across the University of Mississippi’s campus. I was a sophomore who only recently changed my major from International Studies to Philosophy. He was getting to know me better and his question presumed that students from Evangelical, Baptist and Pentecostal backgrounds were suspicious of the subject, thinking it would challenge their cherished beliefs. But I don’t think he was trying to insult me, the only black student majoring in Philosophy at the time. As philosophers often do, he was simply trying to get answers. I told him that my faith was strong. I had been an agnostic during my teenage years and a radical encounter with God opened me up to mysteries that can’t be evaded by science or philosophy. I was also called into the Gospel ministry and that too was a miracle. Majoring in Philosophy would help me in attempting to explain to others what I experienced, so that they too may come to faith in Jesus Christ. I was a man of many questions and I didn’t want shallow answers to them. I was sure others wanted deeper answers too. My professor was satisfied with my response. He was not seeking to turn me into an agnostic once more. I think he found it both odd and inspiring that a man of deep faith did not shy away from deep inquiries. Anyone who knows me knows I am a thinker. I read voraciously. I have more books than clothes. Bookstores and coffee shops feel like a second home. 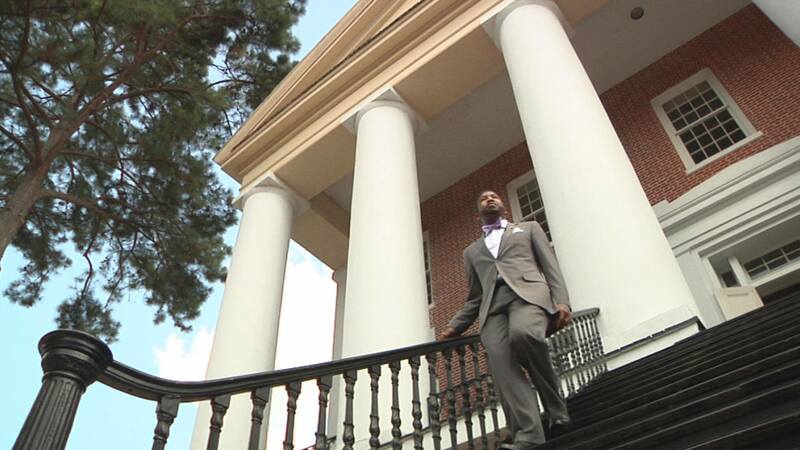 Colleagues recently nicknamed me “Professor” and it was thus fitting that I be employed by Alcorn to teach Ethics. Well read, well dressed, and well mannered, I fit the respectability politics of the black bourgeois even though I’m a country boy at heart. But what confuses people is that I also have a religion I can feel. A religion in which signs and wonders are so common they are ordinary. Dreams, visions, prophetic utterances. Worship that lifts you into the third heaven. An unshakeable commitment to the crucified and literally, bodily, and historically resurrected Lord Jesus of Nazareth, the Son of God. I have seen bodies healed, demons cast out, alcoholics sober up by the power of God. Mines is not the thinking man’s religion, so I’m told. But I wouldn’t have a religion I couldn’t feel sometimes. It was good enough for Paul and Silas. It is good enough for millions of Christians in Latin America and Africa and Asia. It is good enough for me. In my life I have connected religion of the head with religion of the heart (and religion of the hand). Many see me civically engaged or writing blogs and articles. They think I’m all hand or head. But what really motivates all of that is the heart religion God gave me when I was seventeen. It was a peace and power for which I long sought. I grew up thinking the religion of my youth was nothing more than therapy that kept people unchanged and in their places. Some of that is true. And that must change. But what the Lord gave me in the twilight of my high school years was life altering. And even when I tried to run from it, God had a way of chasing me. Even after I received the call to ministry I resisted because I was only a few months away from moving from Hazlehurst to Oxford for college. Growing up a sheltered kid, I didn’t want to be branded as the preacher boy. But in God’s providence, a woman of God who never met me before had a word from the Lord: “The Lord said stop running!” You can’t hide from God. I long for justice and human flourishing. I want everyone to have good food for nourishing, a safe home for shelter, a viable career. I want Mississippi to move from the bottom to the top. I want jobs, entrepreneurship, a creative economy, and shared prosperity for all our citizens. I want a broken criminal justice system fixed and I want excellent education and adequate healthcare for everyone. But if that’s all we have, it’s not enough. More than anything I want every soul to encounter the God I met for real when I was seventeen. I want God to radically change lives in ways that no government, business, education, or culture can. I want others to have a religion they can think through, a religion they can feel.